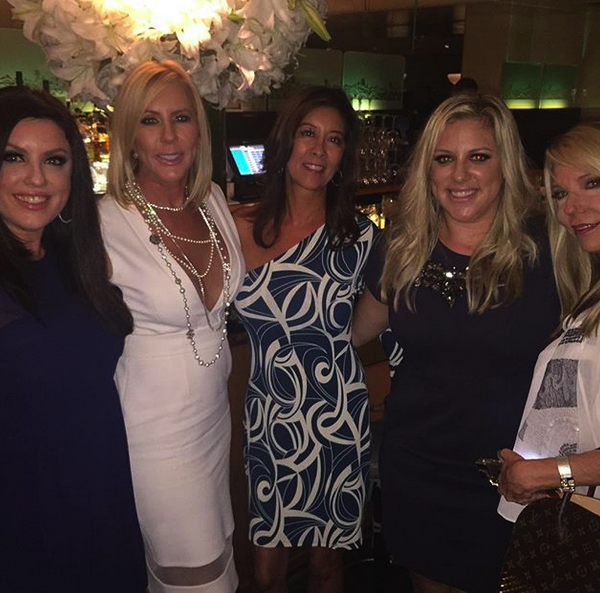 Vicki Gunvalson has had a rough season on The Real Housewives of Orange County. 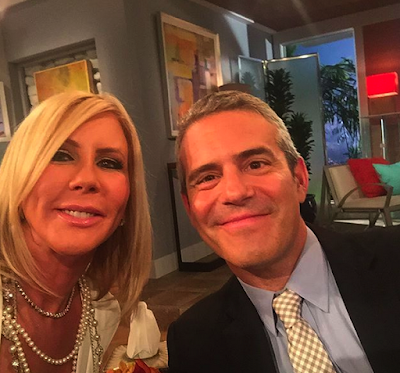 From ex-boyfriend Brooks Ayers and his cancer (or faux cancer? ), Meghan's meddling azz, and going through the death of her mother, you could tell she was at her breaking point. The cast just finished filming the reunion, and Vicki posted a photo of a few of her friends (and her daughter, Brianna) along with a message that pretty much confirms she is done with the series entirely! Vicki is the OG OC housewife, and she has been a part of the cast since 2006. I agree it's probably time for her to move on, but I'm gonna miss her crazy azz and high-strung personality, how about you? Can the series survive without her?